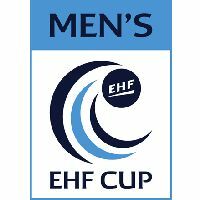 NEWS REPORT: While the final list for the Men's EHF Cup Group Phase will be completed over the upcoming weekend, the EHF has announced that two clubs have applied for the final tournament in May 2016. Two participants of the premiere EHF Cup Finals in 2013 will race for the hosting rights of the tournament's fourth edition in 2016 after the European Handball Federation has announced that HBC Nantes from France and Frisch Auf Göppingen from Germany have successfully submitted their bids to stage the high-profile event, which will take place on 14-15 May 2016. The EHF is planning to announce the venue of the final tournament before Christmas 2015. HBC Nantes hosted the maiden 2013 EHF Cup Finals and after a final defeat to Rhein-Neckar Löwen they finished second. The French club does not plan to return to the Palais des Sports de Beaulieu, where the maiden edition was held. If Nantes bid succeeds, they will receive the second most prestitigous men's club handball event after VELUX EHF FINAL4 in the new XXL Arena with 10,000 seats. While Nantes are still waiting for their first European silverware, Göppingen already raised the old EHF Cup in its last two years before merging with the Cup Winners' Cup. They also made it to the first final tournament in 2013, but were stopped by eventual winners Rhein-Neckar Löwen in the semi-final and lost also the third place match against the Danish side Team Tvis Holstebro. The Göppingen's project would welcome the EHF Cup Finals in their home – EWS Arena with a capacity of 5,600 spectators. Having eliminated Poland's Gornik Zabrze in the third qualification round the team from German bundesliga has already qualified for the group phase. 15 more teams will follow over the upcoming weekend as the remaining second leg matches will be played all over Europe. The 16 sides qualified for the group phase will be drawn in to four groups of four teams on Thursday 3 December at 11:00 hrs in Vienna. There will be a detailed live coverage of the draw event available as besides the live ticker on www.eurohandball.com fans will be also able to follow the drawing of lots via live tweeting on @ehf and live streaming on ehfTV.com. The four pots will be released on Sunday evening directly after the qualification round 3 conclusion.